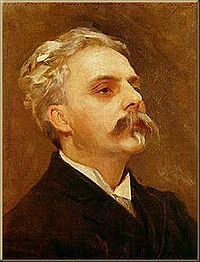 Gabriel Fauré (12 May 1845 – 4 November 1924) was a French composer, organist, pianist and teacher. He was one of the foremost French composers of his generation, and his musical style influenced many 20th century composers. Among his best-known works are his Nocturnes for piano, the songs "Après un rêve" and "Clair de lune", and his Requiem. Born into a cultured but not unusually musical family, Fauré revealed his talent when he was a small boy. He was sent to a music college in Paris, where he was trained to be a church organist and choirmaster. Among his teachers was Camille Saint-Saëns, who became a life-long friend. In his early years, Fauré earned a modest living as an organist and teacher, leaving him little time for composition. When he became successful, holding the important posts of organist of the Église de la Madeleine and head of the Paris Conservatoire, he still lacked time for composing, retreating to the countryside in the summer holidays to concentrate on composition. By his last years, Fauré was recognised in France as the leading French composer of his day. An unprecedented national musical tribute was held for him in Paris in 1922 headed by the President of the Republic. Fauré had many admirers in England, but his music, though known in other countries, took many decades more to become widely accepted. His music has been described as linking the end of Romanticism with the modernism of the second quarter of the 20th century. When he was born, Hector Berlioz was still composing, and by the time of his death the atonal music of the Second Viennese School was being heard. The Grove Dictionary of Music and Musicians, which describes him as the most advanced composer of his generation in France, notes that his harmonic and melodic innovations affected the teaching of harmony for later generations. In contrast with the charm of his earlier music, his last works, written when increasing deafness had struck him, are elusive and withdrawn in character. 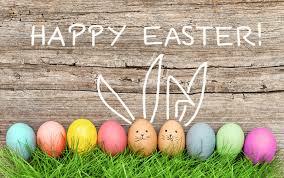 Click here to view all items by Fauré.